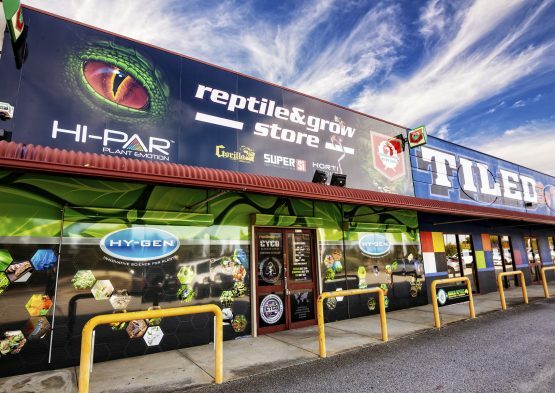 Reptile and Grow Store holds the unique claim of being Western Australia’s only exclusive reptile and hydroponic shop. Owners Ken Thompson and Karen Purt-Thompson talk about the connection between raising reptiles and growing plants. At first glance, many people might not think growing plants hydroponically and keeping reptiles have much in common, but for Ken, they are two of his favorite things. That’s why years ago he combined his two hobbies into one store. But the business didn’t start out that way. Ken, who worked as a sales rep and manager in the electrical wholesales and mining industries before becoming his own boss, decided to take a chance 15 years ago and open a reptile exclusive store. When the global financial crisis hit a few years in for the new business, Ken and Karen decided to diversify and bring a second hobby into the mix – gardening. The two industries share one major thing in common: the equipment used to create the environment to grow plants and care for reptiles. At Reptile and grow we have many products that cross over from hydroponics to reptiles, invertebrates, and amphibians: water pumps, air stones, thermostats, thermometers, coco peat, heat mats, and although different – UV lighting is very important in both hydro and reptiles. Reptile and Grow stores first year was tough, we started our inventory small and as our client base grew so did the amount of stock we held, we built a reputation for outstanding, quality service, which made us the envy of many. Our business just grew out of control and within a few years, we had cemented ourselves in a new and exciting industry – reptiles and hydroponics. Our dream job had come true. Besides our fantastic clientele, another key part to making our business work is our suppliers, after years we can say that we are able to offer our customers the best deals thanks to having shopped around for so many years to get the best products at the best prices, our suppliers have also provided product training to ensure we have full knowledge of every product that comes and goes from this store. Reptile and Grow store carries a wide range of brands including Hydroponic Generations, House and Garden, Mills, Cyco, Hi-Par, Blue Lab, Reptile One, Exo-Terra, Zoo-Med, Anarchy Reptile, URS and so many more. Since the store opened in 2003, we have moved operations once to a larger building. While we only have the one store, situated south of the river in Rockingham WA, we are often asked by clients north of the river if we are going to open a store their way. It’s something Ken may consider down the road “it’s not on the cards at the moment, but certainly not out of the question either.” he has stated. We are still very much a family business Ken is not just the owner, he is also the face to greet you at the door and help every customer who comes in store. When Ken’s wife Karen isn’t in the store she is out and about doing educational displays with the community promoting the importance of conservation with her own reptile collection. With the business growing, we also have Jess and Jake who take care of sales and caring for all the critters at the store. We run a tight ship with everyone putting in 100% to work together and provide customer service above the rest, service is the key to our store running smoothly and being a family business, you will notice this from the minute you walk into our shop. 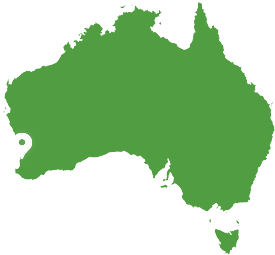 Knowledgeable staff, excellent service, quality products, and great stock holdings are the major strengths of the Reptile and Grow Store, as well as the unique claim of being Western Australia’s only exclusive reptile and hydroponic superstore. After 15 years in business, Ken and his wife Karen have learned a morsel of wisdom or two to pass on to others. Loving what you do, and genuine customer service are the keys to our success. We find that caring about our clients, being truthful and passing on the correct information is the key and the only way to secure the future of our business. Reptile and hydro for us is a win-win as we all love what we do here.